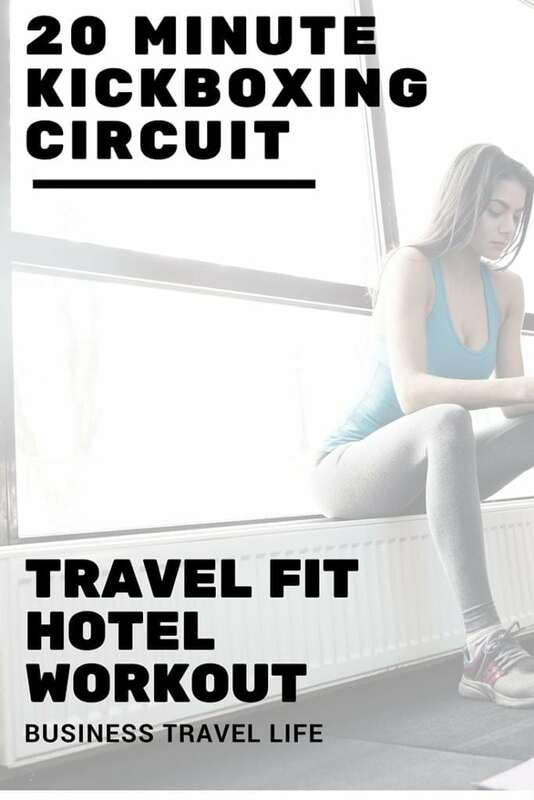 Change up your hotel workout routine with this fun and challenging 20-minute kickboxing circuit! If you are short on time and prefer to knock out (no pun intended) a quick workout without leaving your hotel room, try this 20-minute kickboxing circuit. 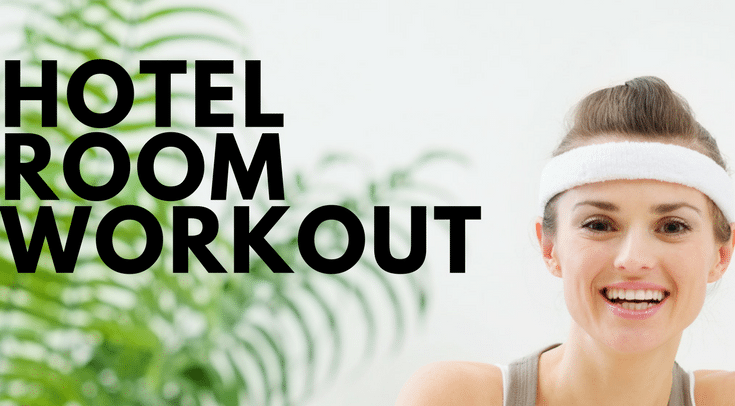 This 20-minute hotel workout requires no equipment and minimal space! Kickboxing burns an average of 6-10 calories per minute, depending on intensity. Wear athletic shoes to support your feet. When you kick and punch, DO NOT complete a full extension, pull the movement back before your reach a full extension. Keep your core tight throughout the workout. The higher your the intensity the more calories you can burn! Take a break between circuits as needed. Business Travel Life strongly recommends you consult with your physician before engaging in a new exercise program. You should be in good physical condition and be able to participate in the exercise. Business Travel Life is not a licensed medical care provider and represents that it has no expertise in diagnosing, examining, or treating medical conditions of any kind, or in determining the effect of any specific exercise on a medical condition. You should understand that when participating in any exercise or exercise program, there is the possibility of physical injury. 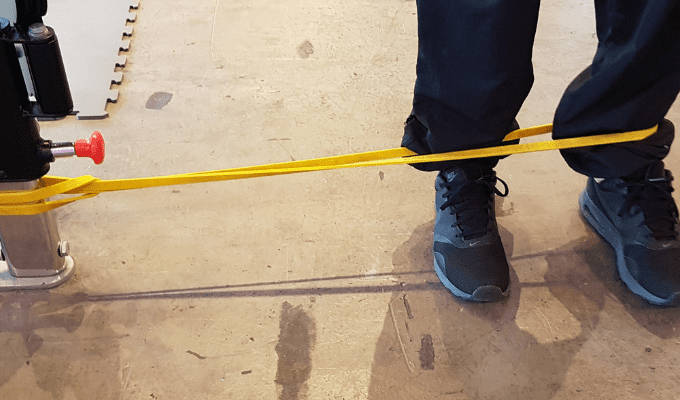 If you engage in this exercise or exercise program, you agree that you do so at your own risk, are voluntarily participating in these activities, assume all risk of injury to yourself, and agree to release and discharge Business Travel Life from any and all claims or causes of action, known or unknown, arising out of Business Travel Life’s negligence.